It turns out that serving the community and reaching out has positive effects for the future of your organization. I have been fortunate enough to have a successful career as a change agent. I leverage my experience of navigating the world with cerebral palsy — a world that was not yet ready to deal with a person with a disability — to help companies deal with their disability: their inability to change from the status quo. My TED talk helping organizations deal with their disability — the inability to change from the status quo. Succession planning for organizations is usually focused within the organization. It typically asks the question, "How are we going to identify and mentor people within our organization to fill critical roles after the current ones move on?" We need to think of succession planning beyond the four walls of our organizations. We need to look at how to make the world a better place for people before they even join our organization. Between birth and employment, a wide variety of different types of barriers exist for many people. Barriers to education, barriers to access. How can we get ahead of it? Get involved sooner. Last week, I had the incredible fortune to return to my hometown of Windsor, Ontario. This was my opportunity to give back and invest in the community, to mentor, and serve as a role model. 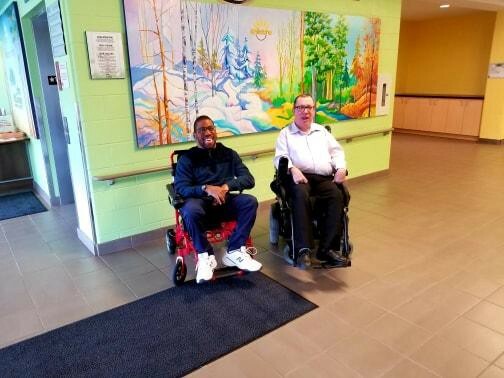 In the morning, I gave a presentation at the John McGivney Children's Centre (JMCC) to parents of disabled children, occupational therapists, physiotherapists, educators, and executives on what I have been doing as a professional with cerebral palsy. I am very proud to be an alumnus of JMCC. They supported my parents, and me as a child, to prepare me to have the necessary skills to begin a journey of struggle as I progressed in my life. The John McGivney Children's Centre is such a vital place that can enable hope, independence, and social innovation, to empower disabled children and adults to lead productive lives. However, they are struggling with budget cuts that limit or remove much-needed services to make this happen. Without JMCC, my story would have never been written. A story that has helped companies leverage my unique experience into a competitive advantage. We need to invest today in the tools we need for success tomorrow. Organizations like these could really benefit from the support of volunteers from the private sector. Leaders that are used to competing for budgets and presenting new funding models for investment could make a massive difference to their cause. In the private sector, we invest in incubators and startups for new technology innovations; we invest in university programs. Starting earlier in the funnel would help develop these pools of talent to ensure we have a steady supply of talent with unique perspectives. We all say we want a more diverse workforce, and all hiring managers know that in our globally competitive landscape, we have a growing skills and experience shortage. Investing in organizations like the JMCC grows a diverse pool of talented workers right here at home. In the evening I had the pleasure to keynote the Ontario Federation for Cerebral Palsy Gala. I have spoken countless times on leadership, organizational change, and innovation, but never exclusively on cerebral palsy. It was incredibly emotional to have so many people in attendance who played a crucial role in my life. My message was "Inclusion is Hope." We cannot stop at just having people with cerebral palsy present in society; we have to make sure we build a world where they can be supported to actually belong. At the Gala, I met a young man named Colin. Colin is 6 years old. He wants to be a police officer when he grows up. Impossible? Maybe today. Who knows what the future will bring in adaptive technology, innovation, and new roles in law enforcement. I was told that I never thought I would accomplish many of the things I have done today, like having a career, wife, and traveling the world. Today's barriers are tomorrow's opportunities. I look forward to Colin arresting me one day. 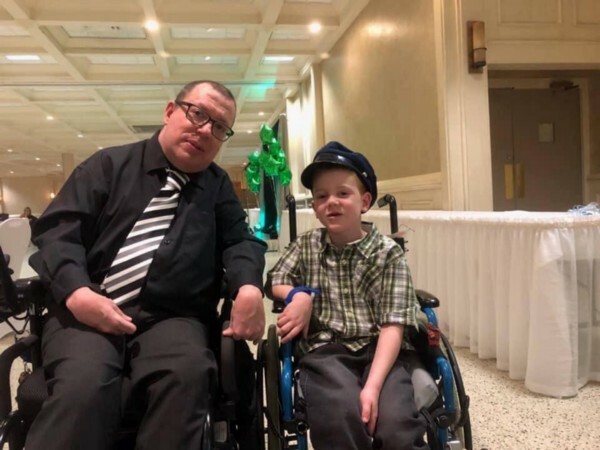 By contributing to organizations like JMCC and the Ontario Federation for Cerebral Palsy, not only do you have an opportunity to mentor people before they are even ready for employment, but you also get exposed to new leadership talent from unexpected places. Sheila, Colin's mom, started the CP Gala in Windsor only four years ago. She was determined to build awareness, support, and opportunity for all people impacted by Cerebral Palsy in the whole region. In this role, she has led a growing group of volunteers that are growing awareness year over year. There's a lot of competition for this type of leader. Serving philanthropic causes allows you to access this talent that would otherwise be missed.